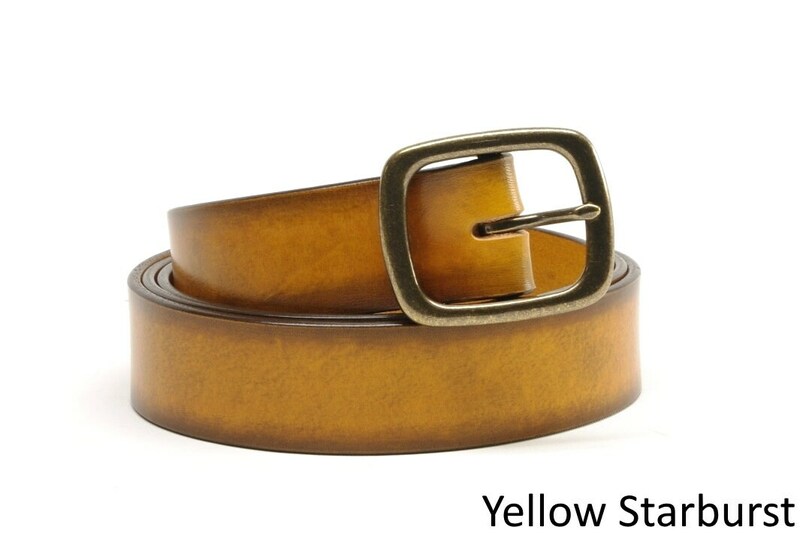 You can buy a belt from a department store, only to be back six months later because it fell apart. 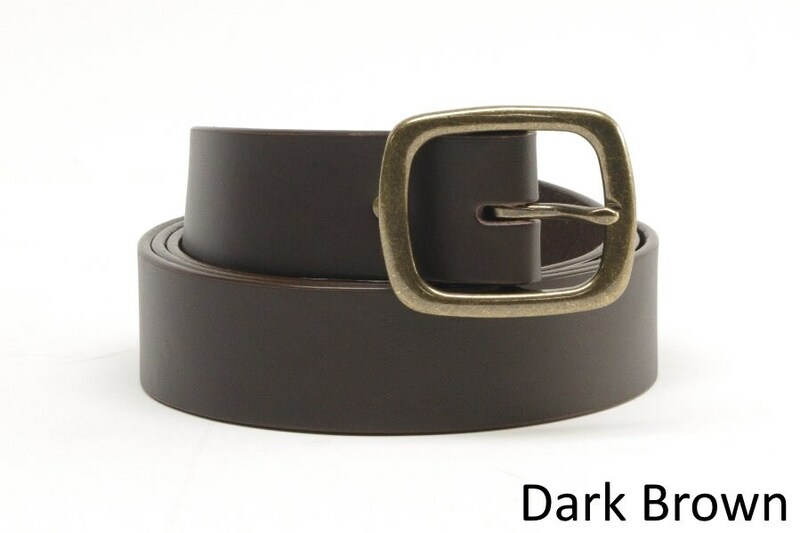 Or, you can buy a belt from those of us who still believe in making the real thing and it will last you many years. 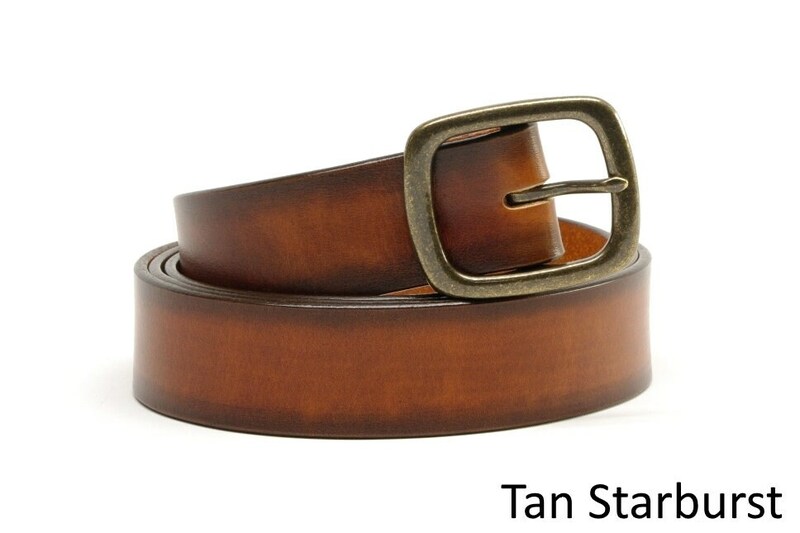 I always say, if you are really hard on my belts, you will get 10 years out of them. If you take care of them, you'll get 20 or more. Like someone said, "I am too poor to buy cheap!" 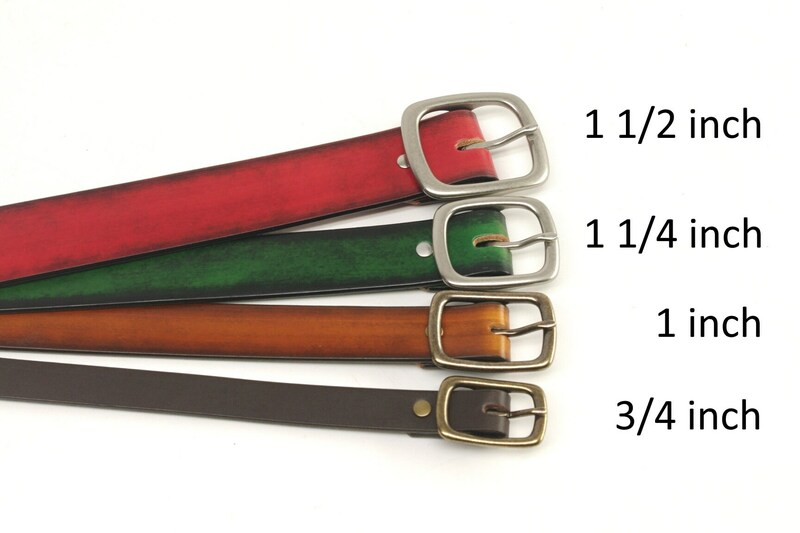 So, what makes my belts different? 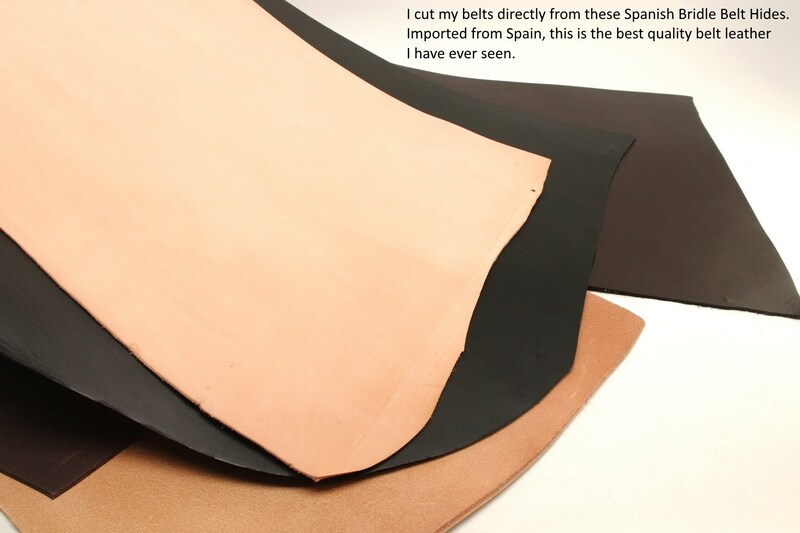 -I use the absolutely finest quality Bridle Leather cowhide. 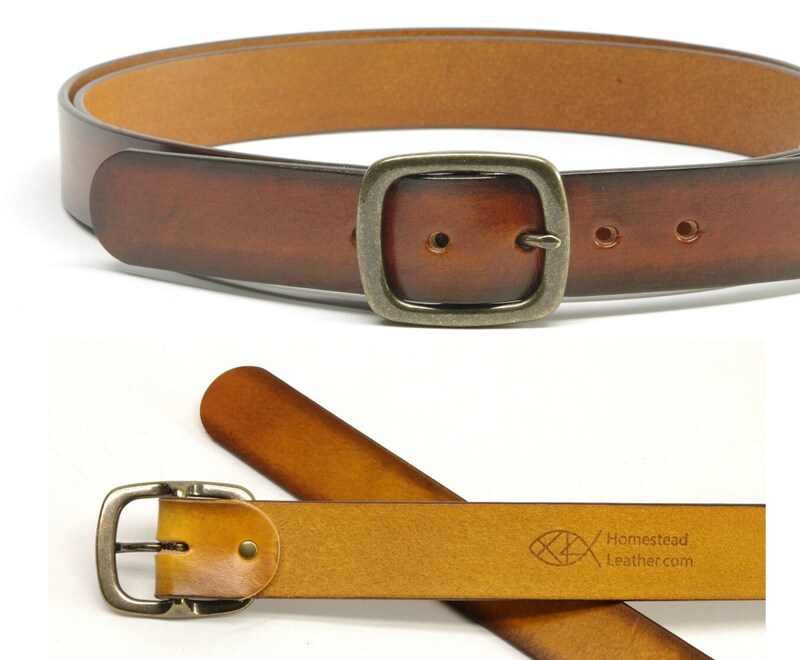 The leather I use costs more, but it is hands down the best quality belt leather I have ever seen. -I cut the hides myself. This is full grain cowhide, nothing split and glued together. No funny business. -Most of my colors I dye by hand; each one is slightly unique from the rest. 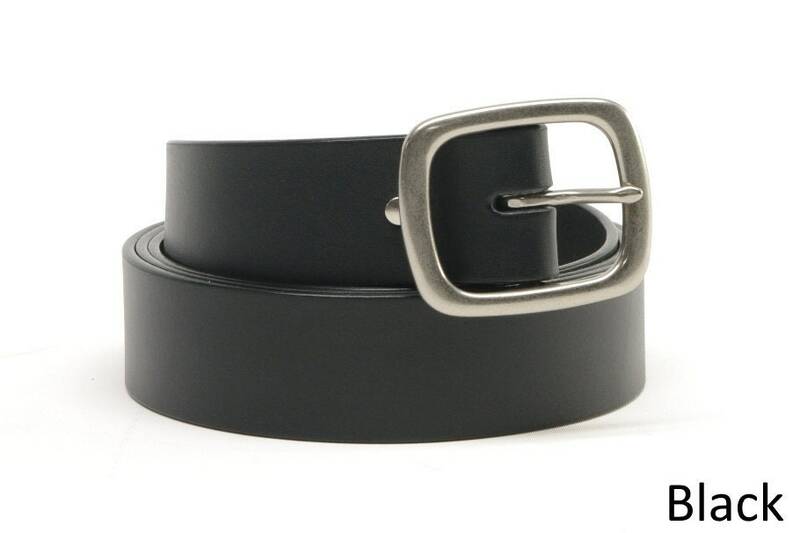 -I slick the edges of my belts to absolute perfection. You can feel the difference. -I coat the edges with a durable acrylic product designed for leather edges. 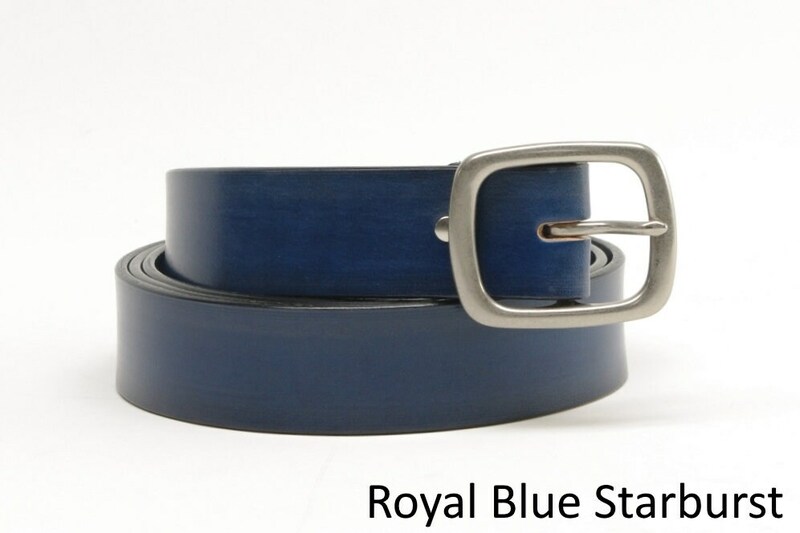 It frames the color of the belt nicely and makes the smooth edges much more durable. -And as always, I guarantee everything I make for life against defects. GOOD: Select measurement according to pants size. 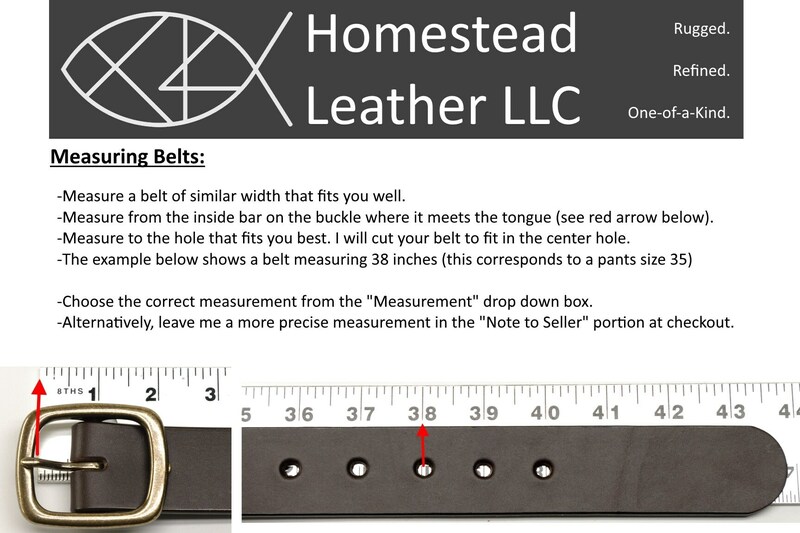 -I will custom fit your belt to any measurement you need. -I fit you to the center hole so that you will have 2 holes on either side. -For smaller waists, I punch the holes closer together. You will definitely appreciate it. -As a courtesy, I do not charge extra for extra long belts. 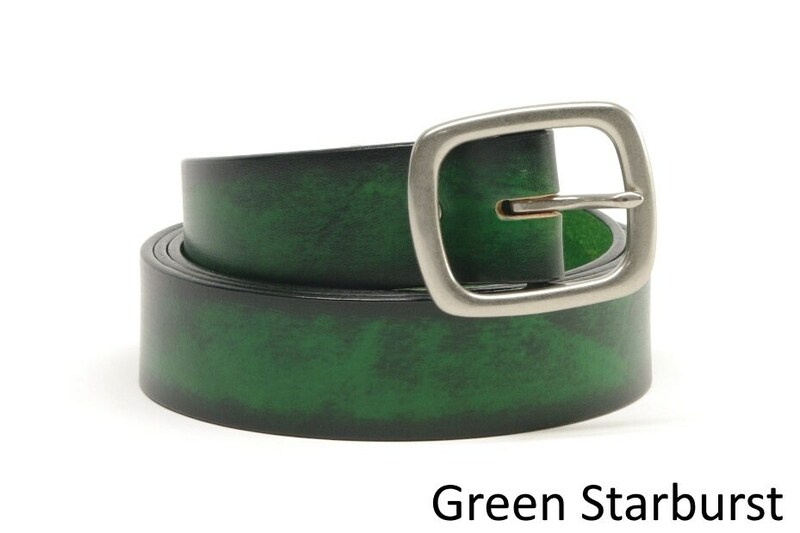 Believe me, I can make a belt for anyone! **If you have any doubts or questions, feel free to drop me a note or call! **PLEASE NOTE: Because I cut your belt specifically for you, I cannot accept returns on belts. If it does not fit or you are not satisfied in any way, I will be happy to replace it.